Did you know that wrist injuries are quite common in football? They can occur from falling, blocking, tackling or any sort of repetitive motion in football. Quarterbacks are especially susceptible to repetitive stress injuries of the wrist, because of all the throwing they do during each game and during practice. Wearing football wrist braces can help minimize the chances of wrist injury while playing football. 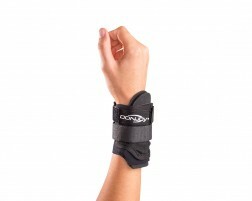 They help stabilize the wrist and guard it during impact with other players or the ground, and minimize the chances of wrist ligament injuries and tendonitis. Even professional NFL players often wear wrist braces to protect against season-ending injuries, especially linemen. 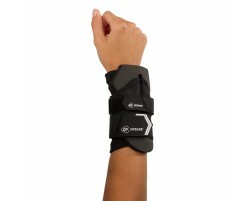 Check out our selection of wrist supports for football players recommended by our brace experts.